This business inkjet printer benefits from up to 50% lower printing costs1, up to 80% lower power consumption1, and fast print speeds. Take advantage of low running costs, low power consumption, fast print speeds and features designed for easy business integration with the new WorkForce Pro WF-5190DW. 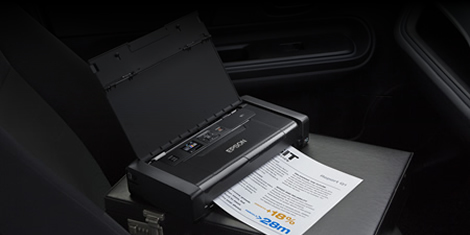 This business inkjet printer benefits from automatic double-sided printing, making any job easy and efficient, and PDL emulations, including PCL and Adobe PostScript 3. The WorkForce Pro WF-5190DW has an up to 50 percent lower cost per page than competitive colour lasers1 , saving you money as you take advantage of this printer's high capacity ink cartridges of up to 4,000 pages2. And there are fewer parts to replace than a laser. The WF-5190DW uses up to 80 percent less power than competitive colour lasers1 thanks, in part, to its no heat technology. 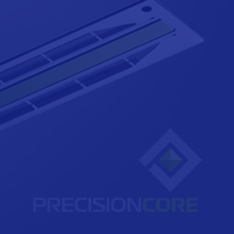 No ozone gases are emitted and an improved quiet print mode and no fan noise during or after printing makes it ideal for the work environment. This efficient business printer is faster than a laser on typical print jobs1, with print speeds of up to 34ppm in mono and 30ppm in colour, or 20ppm ISO print speed in both3. 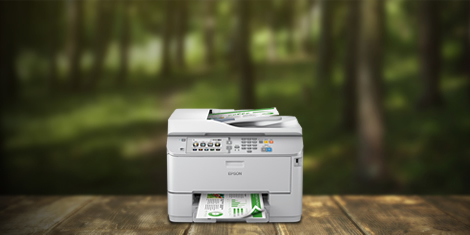 Its high paper capacity of 580 sheets means less time is spent refilling, and a monthly duty cycle of up to 35,000 pages4 means you can print lots in confidence. 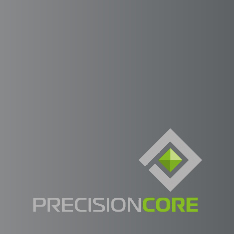 PrecisionCore technology powers the output quality that Epson is known for, at the speeds required for office, commercial and industrial printing. Prints dry fast thanks to the DURABrite Ultra ink. Print securely with Email Print for Enterprise. 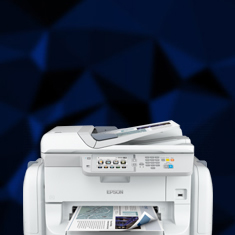 Epson Connect5 lets you easily print from smartphones, tablets and more, and its Wi-Fi Direct™ capability lets you print from supported wireless devices without connecting to a router. Ispisujte i dijelite s bilo kojeg mjesta uz Epsonove mobilne usluge i usluge u oblaku. 1 For more information visit www.epson.eu/inkjetsaving. 2. Approx. page yield based on ISO/IEC 24711/24712. Actual yield will vary depending on images printed and usage conditions. For more information visit http://www.epson.eu/pageyield. 3. Determined in accordance with ISO/IEC 24734 showing the average of ESAT from the Office Category Test for default A4 simplex and duplex. For more information, please visit www.epson.eu/testing. 4. The maximum number of printed pages per month based on the performance capabilities of the printer, including ISO rated print speeds and paper handling capacities. 5. Supports the following languages: English, German, French, Italian, Spanish, Portuguese, Dutch. Requires a wireless connection to the internet. 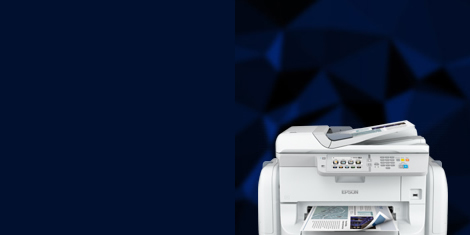 For more information, and supported devices, please visit www.epsonconnect.eu.